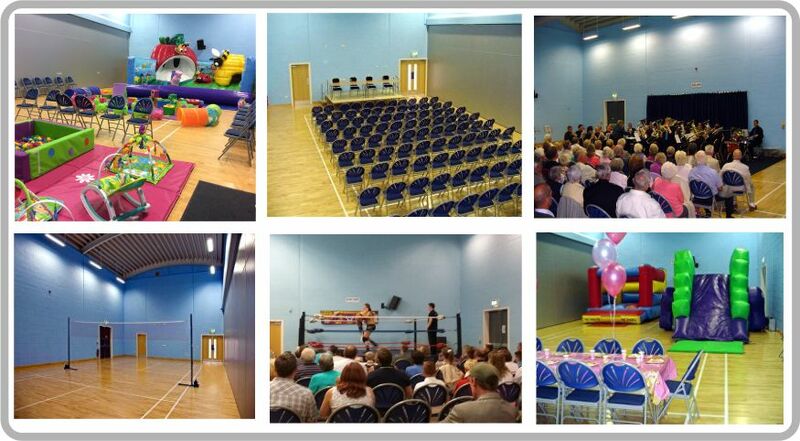 This is a combination of the Sports Hall and Dance Studio with the central partition removed. This is ideal for larger productions, shows or meetings. 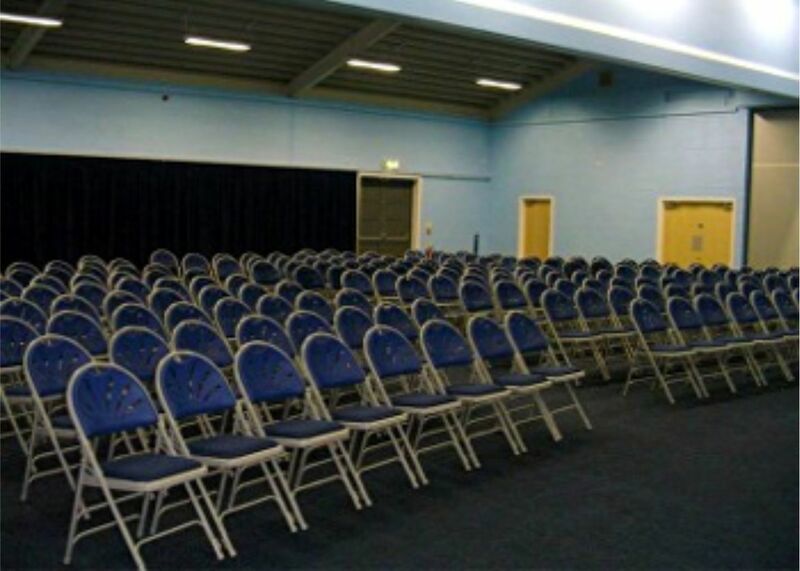 342 persons plus 10 wheelchairs and portable staging can comfortably be accommodated in this room. It is also ideal for exhibitions, fairs and sales events. Height to take full sized Badminton Court.